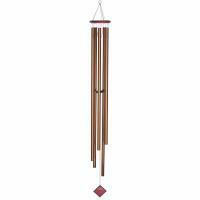 Close your eyes, take some deep breaths, and let the ringing tones of the Pentatonic Soprano wind chimes bring you to your happy place. 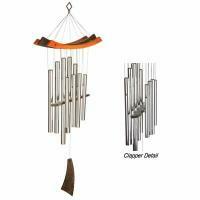 There's nothing like a genuine Music of the Spheres wind chime, and you'll be able to discern its quality immediately after hearing its pure sound. 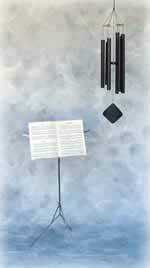 Each of these powder-coated, aluminum alloy chimes has been precision-tuned to A440, the standard tone used by professional orchestras and musicians around the world to tune their instruments. These chimes use the notes of the pentatonic scale, which is the root of many of the world's musical genres, including jazz and Celtic folk music. 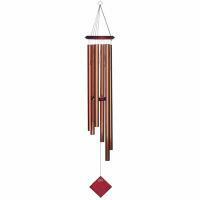 The familiarity of these chimes' sound will surely put your mind at ease as you relax in your home garden. A great gift for my daughter. She loved it! 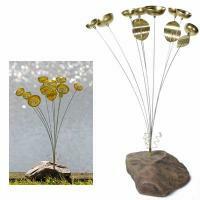 I absolutely LOVE this wind chime!!! Just hearing it makes me happy. My animals stop and listen when it chimes, too. It is the perfect addition to the Music of Our Garden!